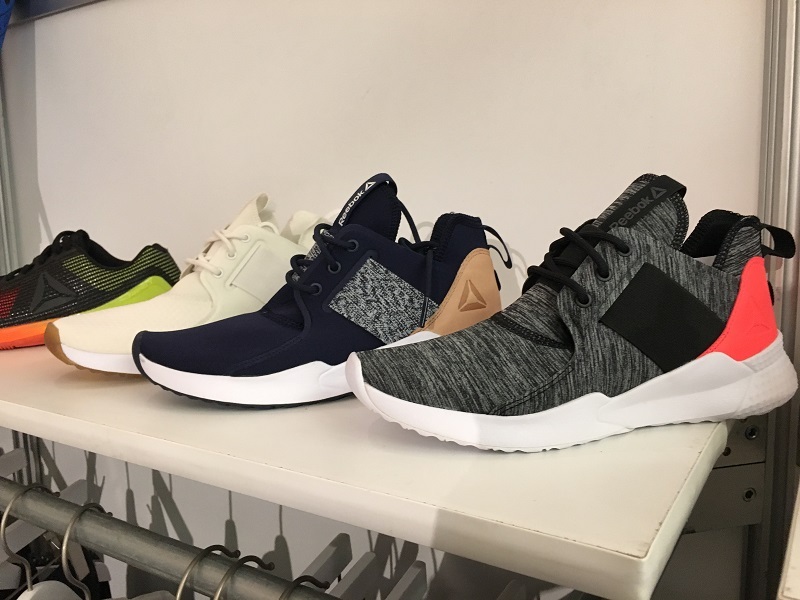 Performance brands like Reebok, Beachbody and Tiem were among the footwear brands exhibiting their latest collections at the Active Collective trade show at New York City on Thursday. With over 70 exhibitors, the show offered a comprehensive look at the direction the booming activewear and athleisure categories are moving toward for the new season. Beachbody, an in-home and gym-based fitness program, presented its first collection of technical performance and lifestyle footwear. The line, manufactured by Global Brands Partners, focused on lightweight sneakers with mesh uppers. Cycling brand Tiem demonstrated the need for athleisure and technical features with a collection of lace-less sneakers. The brand, designed specifically for cyclists, offers cycle connectors (sold separately) for its footwear. Reebok showcased its Fall ’17 range of fitness shoes, a collection of glittery and muted matte designs. The brand’s recent collaboration with Teyana Taylor also garnered attention. The retro 1982 Classic Freestyle Hi silhouette looked new and fresh among the more technical designs.